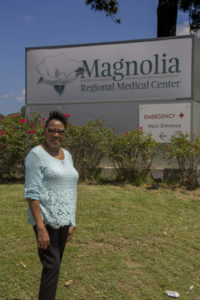 Charlotte Reliford, 63 was treated at Magnolia Medical Center after suffering a stroke while driving her school bus route. She received quick and responsive treatment at Magnolia with the help of AR SAVES. Volunteer fire chief, Thomas Berryhill, suffered a stroke at the age of 50. 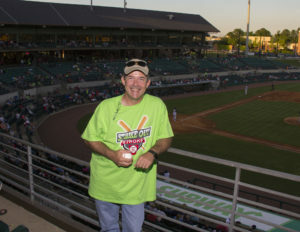 He was treated quickly through the AR SAVES network at St. Mary’s in Russlleville, AR and as a result, was able to attend the 2017 North Arkansas Strike Out Stroke event. 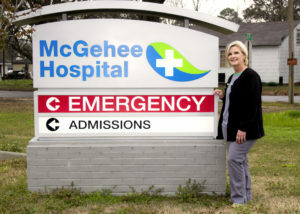 Janet Finley, a nurse at McGehee Hospital, was surrounded by colleagues who thankfully noticed that she was showing symptoms of stroke. They acted quickly by activating the AR SAVES Network and she was able to make a full recovery. Larry Guthrie was on the baseball field in Bald Knob when he started having issues speaking. 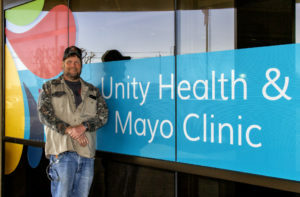 He was rushed to Unity Health Searcy/White County Medical Center where he was treated for a basal stroke. Today, he is back at work and was able to speak at the 2018 Annual Stroke Conference. Trista Tetra was at the chiropractors for a quick adjustment before the busy holiday season when she started having trouble speaking and swallowing. 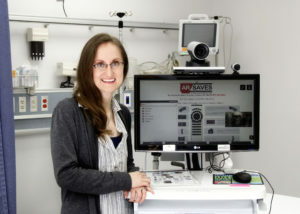 She received medical attention at Mena Regional Medical Center at age 35 for a stroke. She has since made a full recovery and returned to work. Robert Fuquay has many stories to tell. He has been around and seen it all. 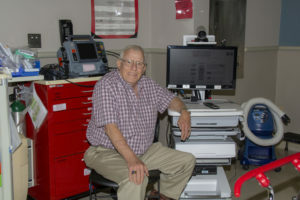 Thanks to the quick action of Saint Mary’s Regional Medical Center, Robert at 72, has recovered from a stroke and will go on to tell many more stories.